VISCARIA & OTIS EVENTS presents a stand-up comedian known for his fresh and universal content striking the right chord with people across all age groups and ethnicities. Jaspreet is a very innocent looking guy who derives most of his humour from the things happening in his house and around him in the city. 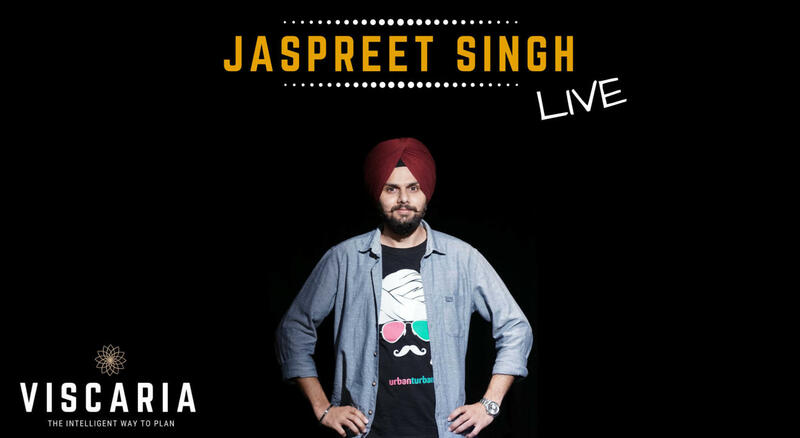 With over 50 million views by just 4 videos, Jaspreet has done 400+ shows and performed in over 30 cities in India, Australia, United Kingdom and U.A.E. From Delhi to Dubai, Bangalore to Melbourne, Mumbai to London, his stand-up solo "Tu Toh Chup Hi Reh!" has managed to sell around 10,000 tickets and has spread happiness across the globe.